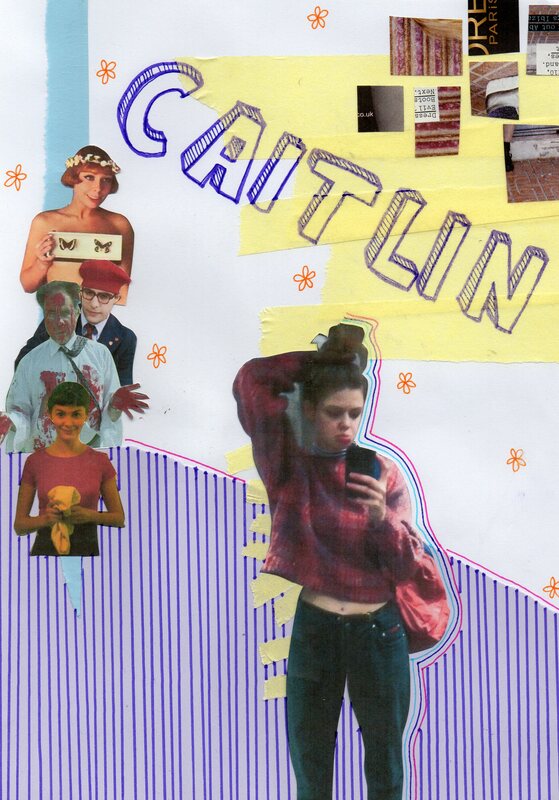 Caitlin Hazell is a 20 yr old staff illustrator at RookieMag and journalling wizard. 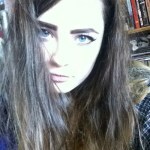 She creates zines, is a part of the cargo collective, dabbles in performance art at university and occasionally runs an online shop. Most people know her from tumblr as bollykecks where she blogs scans from her journals, photos from her day trips, art inspiration and updates on the latest films she’s been watching. Toss-up between films like Sidewalls, Amelie, and The Tree Of Life that remind me how beautiful and fragile life can be, and on a different plain altogether ‘Hail The New Puritan’ which is a documentryish film about the Scottish punk ballet dancer Michael Clark, in the 80s, or Daisies (Sedmikrásky) which I can’t get enough of, I based my sixth form extended project on Czech New Wave cinema and screened it in a film club, but nobody else really understood that it doesn’t have to be initially understood. I saw Lets Be Cops in the cinema with my Brother as a semi joke and we thought it was so bad it was laughable. At the moment I’m obsessed with the new ‘Greek weird wave’ (Dogtooth, Alps, Attenberg) genre and its reliance on use of the physical body as opposed to expensive sets and stories so I want a new art and the body genre of film, not sure where I’m going with this or what it would be called. I only recently saw ‘Beasts of the Southern Wild’ and was amazed at the acting of Quvenzhané Wallis at such a young age, she is going far. Also Eloise Laurence in ‘Broken’- so good and never fails to leave me sobbing. I adore Kristen Stewart, Eva Green, Winona Ryder, Adrien Brody, Adam Driver, but that’s such a random mixing of people. I’d love to co-direct with Miranda July so she could be in it too. Ellen Page’s role as Juno Mcduff changed my life as a weird 12 year old, I hold both Ellen and Juno very close to my heart. Juno taught me so much about being a non-conforming woman in so many different ways, she is smart, funny, has a great vocabulary and the whole soundtrack introduced me to so many great bands- Belle & Sebastian, Kimya Dawson and the Moldy Peaches, Sonic Youth, The Kinks, Cat Power, Velvet Underground.. I feel like I have Juno to thank for half my ipod. The early films of Lukas Moodysson, his latest film ‘We Are The Best!’ got more publicity, but his earlier stuff is even better- ‘Lilya-4-Ever’, ‘Together’ and ‘Show Me Love’ are so touching. ‘Bad Hair’ which is a Venezuelan film I watched through the film site Mubi (love it)- it is a really beautiful piece of cinema, again with strong young acting. “At least you’ll never be a vegetable – even artichokes have hearts.” From Amelie! Sad but true I’m really looking forward to the films coming out with Cara Delevingne in, and some new releases I still haven’t seen, X+Y, Difret, A Pigeon Sat on a Branch Reflecting on Existence, The Diary of a Teenage Girl, The Sisterhood of Night, and Everything Will Be Fine- a Wim Wenders film with Charlotte Gainsbourg!! Dreams! !